Internet companies collectively seek change is the company "mad" or you can not wear? In the second half of the Internet, the e-commerce industry is still receiving much attention. Recently, Jingdong’s series of actions in personnel changes and corporate management have once again pushed it to the public opinion. On April 9, Jingdong responded that it is easy to produce a one-sided interpretation from context and case interpretation. In fact, when the Internet enters the deep water area, the transformation comes again, and the adjustment of the organization means the adjustment of the development strategy. In the industry's view, due to the impact of the capital winter, the online traffic dividend recession and other major environmental impacts, the Internet giants have started to adjust the organizational structure, Jingdong in the main business Jingdong Mall to provide "moat", through Jingdong Retail, Jingdong Logistics and Jingdong Digital technology, to the development of small groups, in order to achieve diversified development. However, in the process of transformation, how to deepen reform or a major challenge facing Jingdong at this stage. Unlike some traditional industries, the Internet industry is changing faster. In the past 2018, the Internet industry has become more competitive, and the economic downturn has put pressure on the outside world to call it the “winter” of Internet companies. 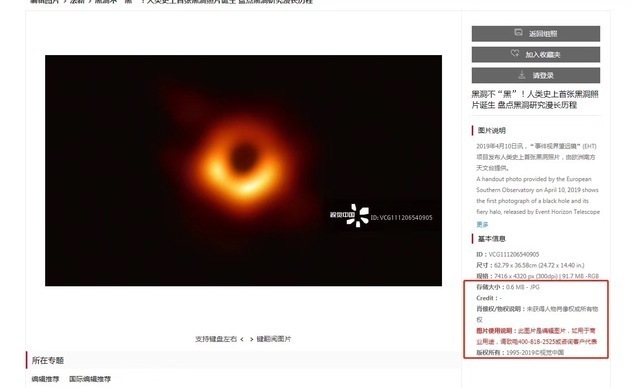 Public reports show that from the end of last year, including Tencent, Ali, eBay, Vipshop, Mobai, Qunar, Dangdang, Convenience Bee, Tuniu, Xiaohongshu, Netease Strictly selected, Mushroom Street, Mito, etc. 28 Internet companies reported similar layoffs. In order to cater to changes in the external environment, Internet companies must constantly adjust their business strategies. Jingdong, Alibaba, Tencent, Baidu and other Internet companies have made strategic adjustments. However, among many enterprises, the Jingdong reform has been followed by public opinion every step of the way. FromZhongguancunFrom small stores to e-commerce giants, Jingdong’s annual transaction volume has increased from 10 million to nearly 1.7 trillion. In the past 10 years, the transaction volume has increased by 130,000 times. Jingdong’s development has been “smooth and smooth”. However, in 2018, both the internal and the market environment have undergone major changes. This year is the "wonderful autumn" of Jingdong. 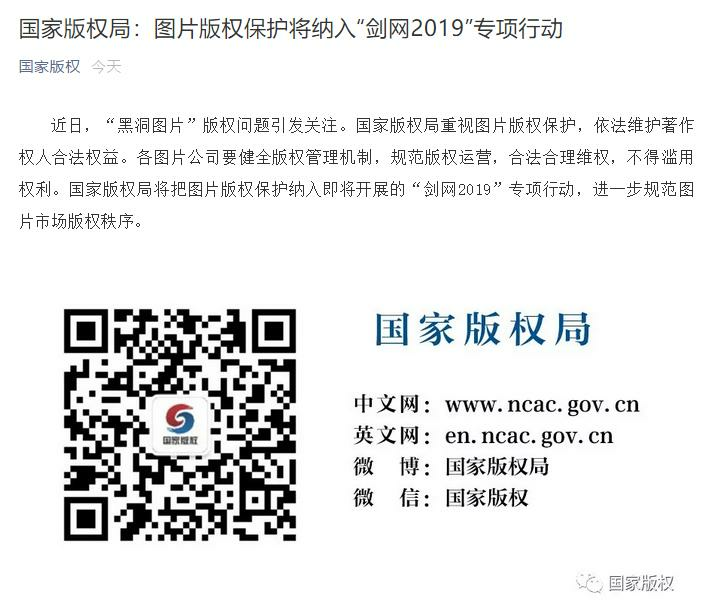 CITIC Construction InvestmentAnalysts once pointed out in the research report that in the second half of 2018, the prisoner's dilemma of consumer Internet companies became more and more obvious. The market performance of a company is more and more dependent on the competitor's strategy in addition to its own customer demand. . In order to seize resources, various e-commerce companies have increased marketing efforts. Although JD.com has increased sales expenses, as the most intuitive manifestation of e-commerce scale, JD.com's GMV (total turnover) has been difficult to maintain its ultra-high growth rate at the annual trillion scale. In the secondary market, investors' expectations for listed companies, in addition to reasonable size growth, have stable earnings expectations. From the perspective of the market environment, on the one hand, due to the impact of the global financial environment, capital is becoming more and more tense; on the other hand, the emergence of more and more has broken the original e-commerce pattern, and the market potential of low-tier cities has been tapped. Under the influence of multiple factors, Jingdong tried to make active changes in the business side and organizational structure to get rid of the "big business disease" and let the enterprise return to create value-oriented. It is worth noting that in the development of Jingdong for more than ten years, it has been actively seeking change. On the eve of the listing of Jingdong in 2014, the division of Jingdong Group and Jingdong Mall was completed. In the second half of 2015, more than a dozen sales and sales departments of Jingdong Mall were integrated into 3C, home appliances, consumer goods and other business divisions; in 2017, after Jingdong Finance, Jingdong Logistics Group is independent. According to Fan Kai, senior analyst of CCID Consulting's Digital Economy Research Center, the Internet industry is changing rapidly. Internet companies must maintain a high degree of industry sensitivity and accurate grasp of future trends, but the adjustment mechanism should depend on the market. When the market trend is self-adjusting, it will be born. The current Jingdong is entering a track of steady and high-quality growth. According to the 2018 financial report, Jingdong achieved a single-quarter revenue of 100 billion yuan for five consecutive quarters; the annual net profit reached 3.5 billion yuan, and achieved 12 consecutive quarters of profit. However, it cannot be ignored that as the core resource of e-commerce, after experiencing a period of rapid expansion, online traffic dividends are gradually depleted, and traffic has entered a stage of stock game that does not advance and retreat. Excessively relying on subsidies to fight price wars is a crude marketing strategy. It has been unable to adapt to the current environment. With the end of the flow of the king era, AI, the industry Internet, etc. become the new track representing the future, which also means that the face of e-commerce giants is quietly changing. Jingdong had to return to rationality and rethink the company's development. Only by changing the positioning and quickly changing, can we not be eliminated by the market. Reformed as the most intuitive business side of JD. In December 2018, Jingdong initiated the organizational restructuring, centering on the customer-centered, divided into the former middle and back office. Among them, the front-end department mainly establishes flexible, innovative and fast-responding mechanisms around C-side and B-side customers; the central-office department outputs the general capabilities that can serve different front-end scenarios through precipitation, iteration and componentization, and constantly adapts to the foreground; The department will provide guarantee and professional support for the front office. In 2019, JD.com decided to continue to promote the transformation of “small group and big business”. Jingdong Retail, Jingdong Logistics and Jingdong Digital have been upgraded to the company's three sub-groups, and through the development of Jingdong Retail, Jingdong Logistics and Jingdong Digital Technology, in order to revitalize resources. Continuous growth. As the main business of Jingdong, Jingdong Mall has been adjusted to the Jingdong Retail Sub-Group, and has made adjustments in the three aspects of business model, business chain and target users, from the past extensive growth to quality growth. On the one hand, the business model shifts from open shelves to full retail to meet consumer demand in different consumer scenarios; on the other hand, the business chain is changed to the “commodity + service” model, which enhances customer stickiness by leveraging service advantages; At the same time, as a comprehensive retail platform, target customers are expanded to cover all segments of the population. According to Liu Haoran, digital economic analyst of CCID Consulting, Judging from the indicators of Jingdong’s 2018 performance, as the core business that bears nearly 90% of the Group’s revenue, Jingdong Mall’s continued good business conditions will undoubtedly provide JD’s future development. "moat". After a new round of organizational restructuring, JD.com has continuously dismantled the original large system and developed it into a “small group” to achieve diversified development. In addition, after increasing investment in technology research and development, the technology research and development field may become the next core competitiveness of JD. In addition to business restructuring, organizational restructuring is also an inevitable part of the reform, which means that the original staff structure will be adjusted, but every action means that the company will face a big change, more people need to go out of comfort District, but newcomers will also gain some room for development. At this point, Jingdong took the lead in making an attempt. Prior to this, Jingdong Chairman and CEO Liu Qiangdong had pointed out the current problems of the company at the internal meeting. After more than ten years of rapid development, Jingdong also faced the threat of “big company illness”. At the 2019 Open Conference, Jingdong announced that it will eliminate 10% of the vice presidents and above. Although the last elimination system has also been adopted in other enterprises, from the proportion of 10% of senior executives above the vice president level, Jingdong has made up its mind to stimulate the middle and high level of the enterprise and adjust the organizational redundancy structure. It is worth noting that this comprehensive reform of Jingdong also covers employees at all levels. As the key development business of Jingdong Group, since the independent operation of Jingdong Logistics, the logistics infrastructure construction such as warehousing layout is still the focus, and the external order business is added. Therefore, with the new model, the salary structure of the distribution staff is also adjusted to “incentive”, that is, the cancellation of the basic salary will be included in the performance of the business, and in order to comply with the reform, Jingdong has set a buffer period of 4-6 months. However, the reporter noted that in the express delivery industry, some of the mainstream express company employees are divided into sections after one to three months of employment. Since then, the salary composition also does not contain the basic salary, and most companies do not contain five insurance and one gold. The industry believes that when Jingdong Logistics was divested from Jingdong Mall, Jingdong Logistics has switched from the first-party logistics to the third-party logistics, and will face a self-financing situation. Only a more scientific salary incentive can show enough incentives for employees with excellent performance, and adjusting the salary structure is inevitable. For individual employees, when performance affects wages, this is a market-based choice for survival of the fittest. Only by strengthening competition awareness can it be more work. In fact, Jingdong has always practiced the talent appointment mechanism of “the capable, the powerful, the powerful”, and is committed to building a group of talents with the ability to understand and manage, and to give adequate returns and recognition to the talented people who have great value and rapid growth. . Although in the early stage of the reform, there was a constant unilateral skepticism about layoffs and salary adjustments, but after experiencing the pains of reform, corporate development will surely be on the right track.